To gain a better understanding of Dean DeLisle and the presentations that he offers, please take a moment to review the following slides. These slides are rich in information and take a look at some of the information Dean can cover in his coaching and training sessions. 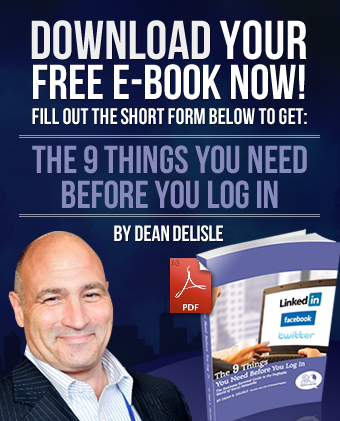 Dean is one of the few people I have come across who understands how to derive real business value from social networking. He is expert in the platforms and their use, and in working with businesses to implement social networking tactics that support their overall business strategy. He’s driven, but also fun to work with. He and his team at Forward Progress have helped guide us through this brave new world. Dean is an excellent professor. His social networking course taught me a lot. He has much knowledge in social marketing and interaction with people. Also, he asked us to attend the social so that we can use what we learned in practice and gave us useful tools and feedback so that we can keep on the right track. Therefore, I would like to recommend Dean and his course.